A McDonald's employee was shot by a customer at a location in DeKalb County on Wesley Chapel Road Friday, March 22, 2019. A verbal argument intensified into a shooting at the restaurant, police said. 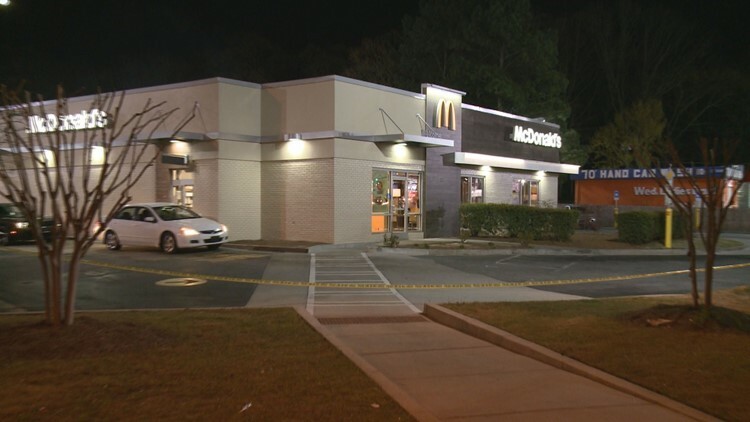 DEKALB COUNTY, Ga. — A McDonald’s employee was shot in the leg Friday night after a verbal altercation with two customers turned violent in DeKalb County. The shooting happened at 7:15 p.m. at the fast food restaurant near a Texaco Gas Station on Wesley Chapel Road. Police said two suspects began fighting with two McDonald’s employees and one of the suspects shot an employee in the leg. The employee was taken to a local hospital and is expected to survive. The suspects fled the scene before police arrived and no arrests have been made.